Bij aanschaf van dit product krijgt u in totaal 3 BrickCoins. Uw winkelwagen bevat een totaal aan 3 BrickCoins die omgezet kunnen worden in een waardebon van € 0,75. 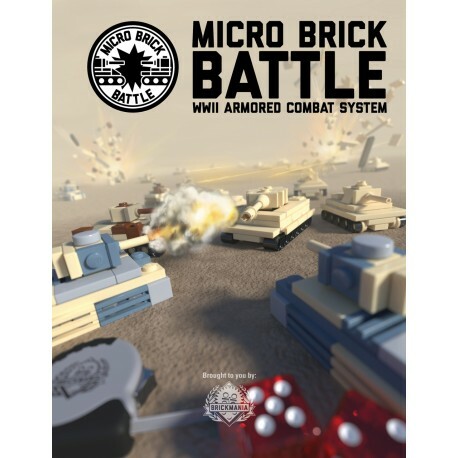 Micro Brick Battle™ is a fast-paced table top strategy game using 1:120 scale models built with LEGO® bricks. It is a turn-based game for two players (or teams) which continues until one side has completely destroyed the forces of the other (or otherwise completed an objective as set out in a given scenario). This book is intended to provide the basic rules for land-based armored combat. It also provides building instructions and game stats for many of the most commonly used armored vehicles of WWII. 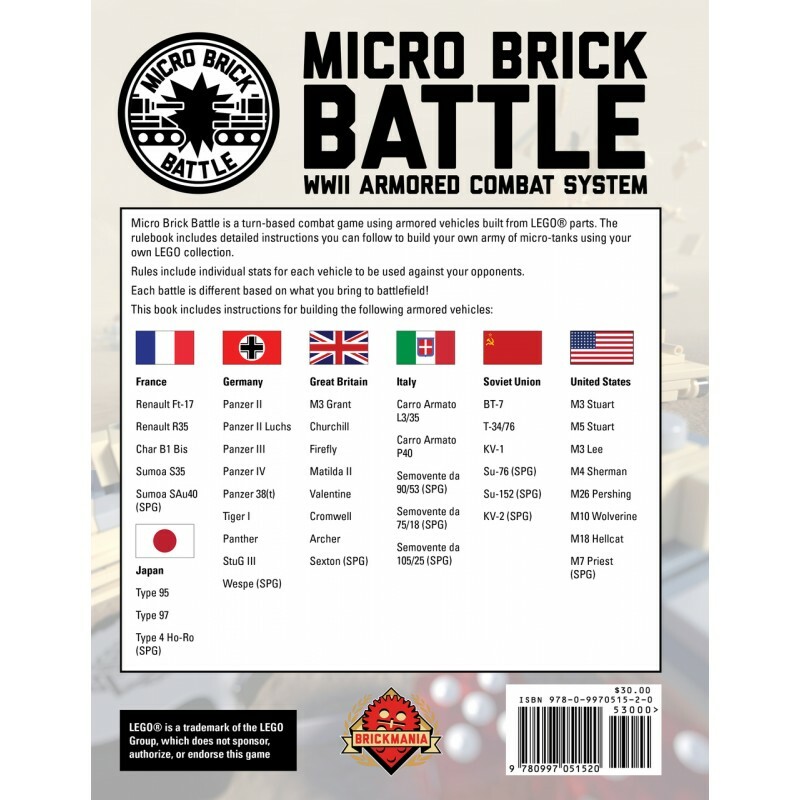 Future expansions of the Micro Brick Battle system will include aerial combat, additional armored vehicles, and Campaign Modules for specific historic battles. We also plan to host Micro Brick Battle tournaments at events around the country starting in mid-2017. 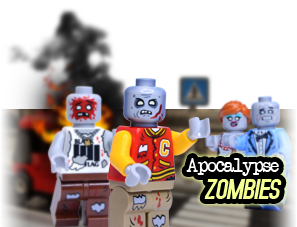 This will coincide with the release of our companion card game Bricks of War™, now in development process. Aside from the basic game rules, the bulk of this book is devoted to building instructions for the basic game piece models. This includes a short section with tips for acquiring the necessary LEGO® pieces and building tips to help you complete your models. The composition of your Micro Brick Battle™ armies are completely up to you; whether you want to recreate historic battles or build an armored juggernaut of your own design. 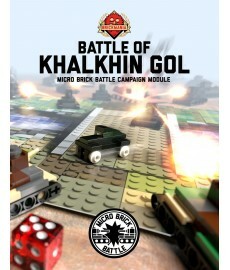 Brickmania will be releasing various game piece mini kits which will be compatible with the Micro Brick Battle system. 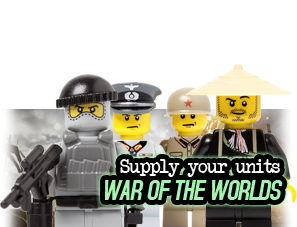 These will have the added bonus of including the corresponding Bricks of War™ card, which will be necessary for use in the official tournament play. This book includes instructions to build game piece models for 44 different armored vehicle from WWII. Voor dit book zijn additionele verzendkosten van toepassing.